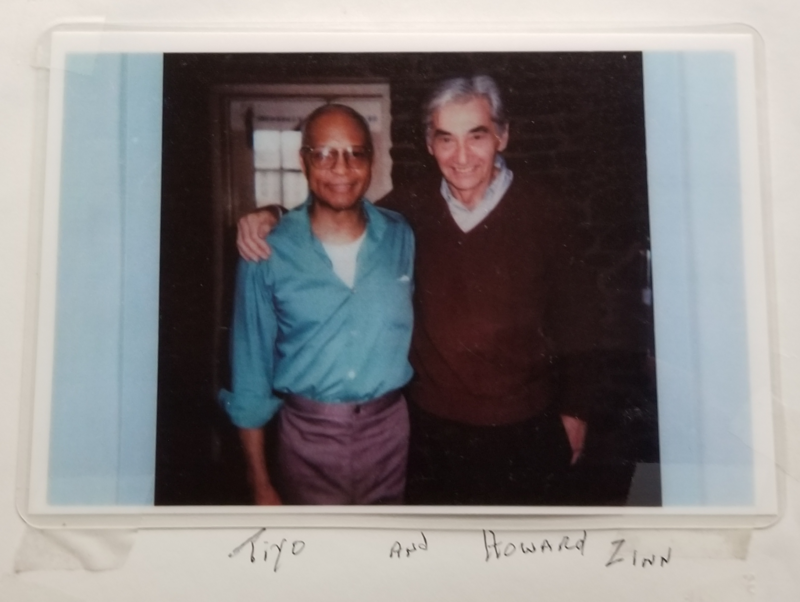 Tiyo Attallah Salah-El and Howard Zinn, undated. Source: Papers of Tiyo Attallah Salah-El (1890-2006)/University of Massachusetts Amherst. 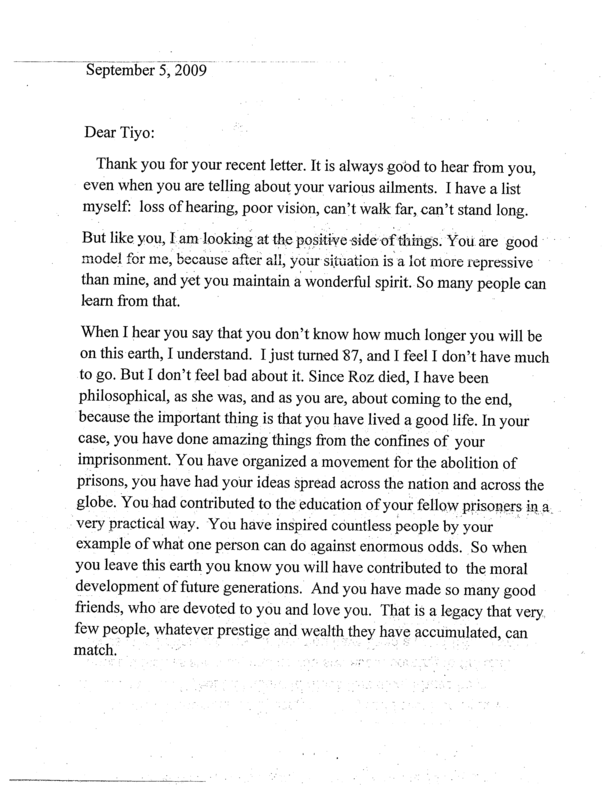 We share a 2009 letter Zinn wrote to Salah-El, one of many in Papers of Tiyo Attallah Salah-El (1890-2006) collection housed at the University of Massachusetts Amherst. 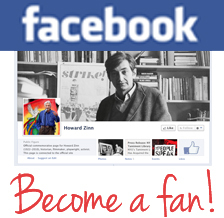 Salah-El’s correspondence to Zinn are housed at the NYU’s Tamiment Library. 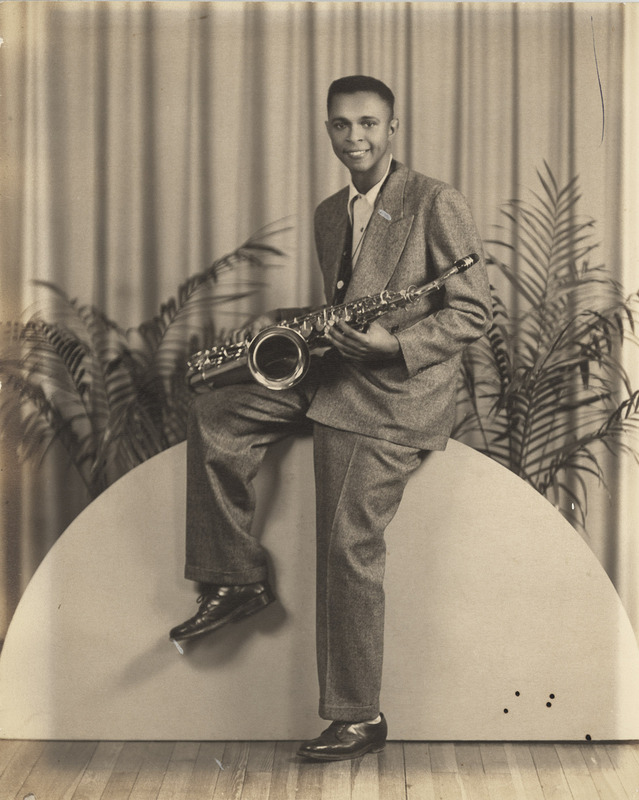 See transcriptions below slideshow and a video of a memorial service for Salah-El held at University of Massachusetts Amherst in Oct. 2018. 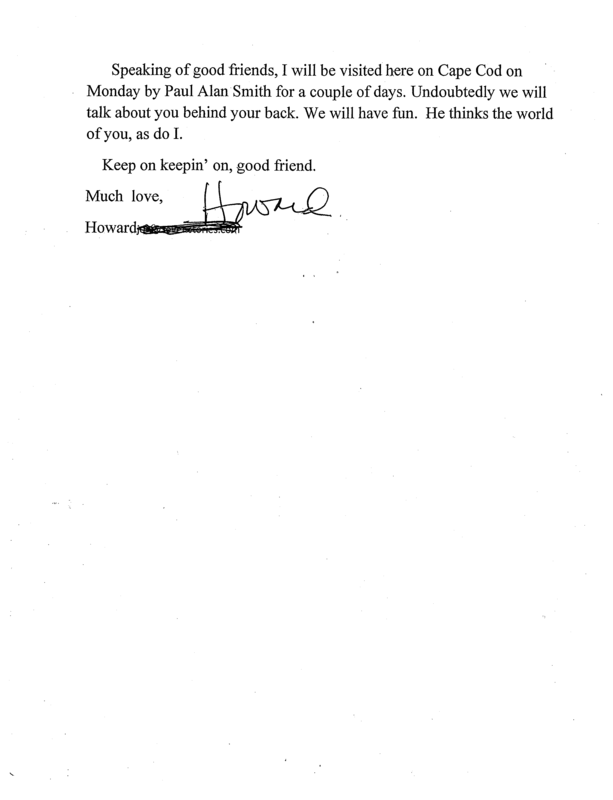 Thank you for your recent letter. It is always good to hear from you, even when you are telling about your various ailments. I have a list myself: loss of hearing, poor vision, can’t walk far, can’t stand long. But like you, I am looking at the positive side of things. You are good model for me, because after all, your situation is a lot more repressive than mine, and yet you maintain a wonderful spirit. So many people can learn from that. When I hear you say that you don’t know how much longer you will be on this earth, I understand. I just turned ’87, and I feel I don’t have much to go. But I don’t feel bad about it. Since Roz died, I have been philosophical, as she was, and as you are about coming to the end, because the important thing is that you have lived a good life. In your case, you have done amazing things from the confines of your imprisonment. You have organized a movement for the abolition of prisons, you have had your ideas spread across the nation and across the globe. You had contributed to the education of your fellow prisoners in a very practical way. You have inspired countless people by your example of what one person can do against enormous odds. So when you leave this earth you know you will have contributed to the moral development of future generations. And you have made so many good friends, who are devoted to you and love you. That is a legacy that very few people, whatever prestige and wealth they have accumulated, can match. Speaking of good friends, I will be visited here on Cape Cod on Monday by Paul Alan Smith for a couple of days. Undoubtedly we will talk about you behind your back. We will have fun. He thinks the world of you, as do I. Keep on keepin’ on, good friend. Held at W. E.B. DuBois Library, University of Massachusetts Amherst on Oct. 5, 2018.